embarking on a new project to honor our fallen Warriors. The cost for each memorial will be approximately $5,000. that were made here at home for their freedoms. Where you may donate by credit card to help us achieve our goal. P.O. Box 6379, Concord, CA 94524. 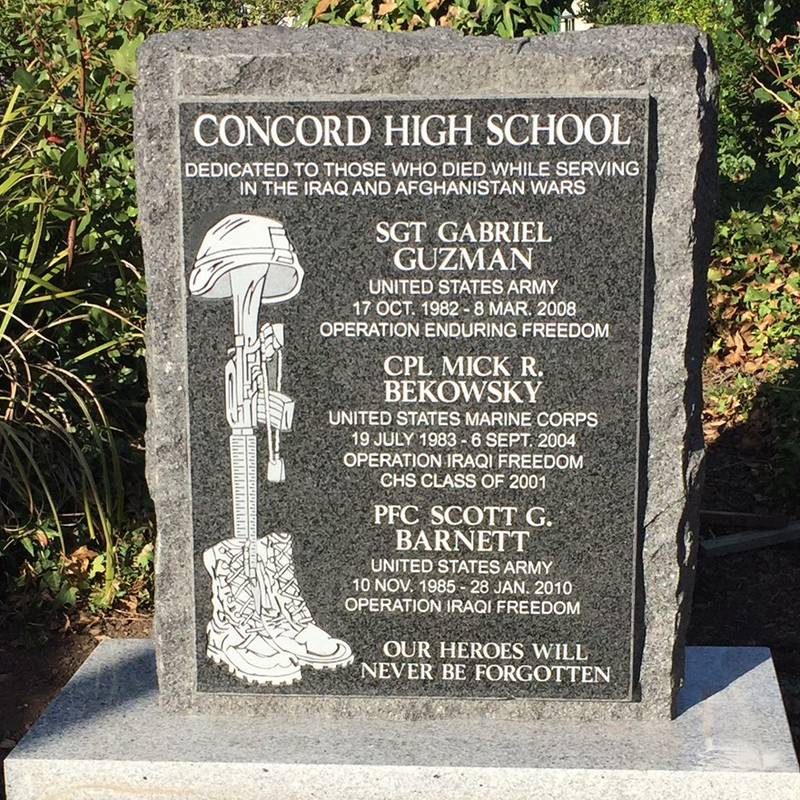 Donors should note "High School Memorials" in the memo area. We are a 501(c)(3) non-profit charitable group.